Jim Eberlin really knows salespeople. He founded two Silicon Valley market leaders (Gainsight and Host Analytics) and currently serves as the founder and CEO of TopOPPS. And he joined us in the most recent broadcast of our Modern Sales Leader Hangout. And his number one tip for new sales leaders? He founded two Silicon Valley market leaders and currently serves as the founder and CEO of TopOPPS. 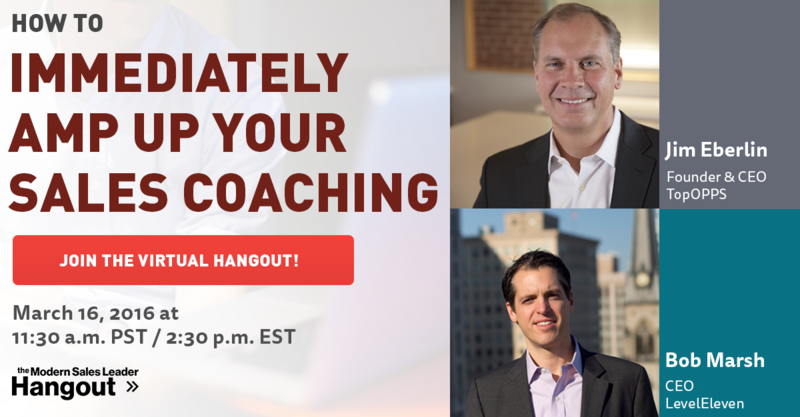 Here are 20 of his best sales coaching tips.